The Asus Zenfone 3 Deluxe ZS570KL and the Zenfone 3 Laser ZC551KL are now both available to order in the US, in unlocked form, from Amazon. 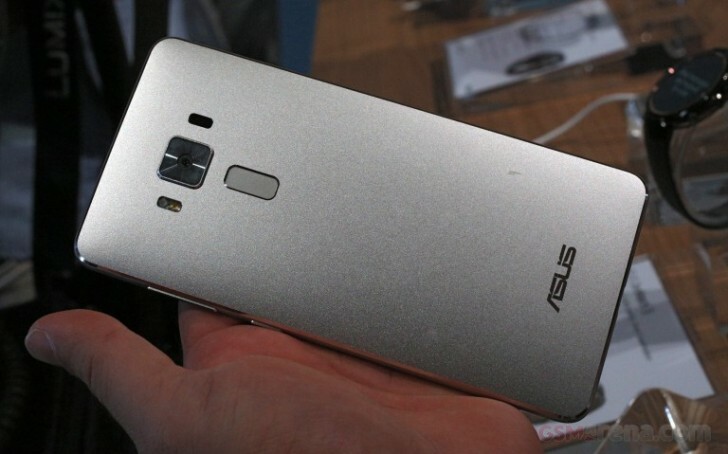 The phones are part of Asus’ confusing as usual Zenfone 3 lineup, which spans multiple devices having the same names. So let’s see exactly what you’re getting here. The Zenfone 3 Deluxe ZS570KL has a 5.7-inch 1080p Super AMOLED touchscreen, a 23 MP main camera, an 8 MP selfie shooter, 6GB of RAM, 64GB of expandable storage, and a 3,000 mAh battery. It runs Android 6.0.1 Marshmallow. Hilariously, Amazon is being confused by Asus’ naming scheme for its handsets too. See, there are two Zenfone 3 Deluxe ZS570KL models, one of which is powered by the Snapdragon 821 chipset, the other having to settle for the 820. It’s unclear exactly which of them the retailer is selling, since the info up top says SD820 while the Product Description section says SD821 instead. Then again, the “item model number” votes for the 820 too, so we assume this might be it. Who knew giving two hardware versions of the same phone the same model number could ever get become messy, right? Moving on to the Zenfone 3 Laser, this one has a 5.5-inch 1080p touchscreen, a 13 MP rear camera with laser autofocus, an 8 MP front-facing unit, the Snapdragon 430 chipset (with 1.4 GHz octa-core Cortex-A53 CPU), 2GB of RAM, 32GB of expandable storage, and a 3,000 mAh battery. It too runs Android 6.0.1 Marshmallow. The Zenfone 3 Deluxe is priced at $530.48, while the Zenfone 3 Laser goes for $206.95. In both cases shipping is estimated to start in two to five weeks, so you still have some waiting to do for either of these to make it to your doorstep.